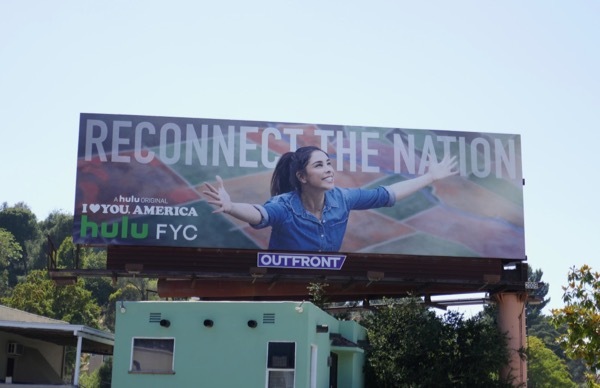 With Chelsea Handler's talkshow having been cancelled after two seasons on Netflix, can Sarah Silverman's new Hulu series be able to take up the late-night streaming mantle with I Love You, America. After one of the most divisive presidential elections in U.S. history and the ongoing attempts of the current administration to give more tax relief to the rich, make deals to line the pockets of friends, family and donors, take away the rights of immigrants, lower income families, people of colour, muslims, women and LGBT citizens, trying to sabotage healthcare for millions, supporting White Supremacists, doing nothing to introduce sensible gun safety laws, tearing undocumented families apart, demonizing the press, insulting grieving Gold Star families and keeping the threat of nuclear war with North Korea alive in all our minds, can the comedian help unite the nation rather than further divide it with her unique brand of comedy, conversations and songs. After all the insults to freedom and her character the Statue of Liberty has endured in recent months it would be no wonder if she turned her back on America. These witty series launch billboards were snapped along Sunset Boulevard and Santa Monica Boulevard from October 5 to October 22, 2017. Fans of the funny lady can also check out these Sarah Silverman stand-up special billboards, and for more spoofs of the iconic U.S. landmark be sure to also take a gander at all these fun Statue of Liberty billboards. Let's hope we can all continue to love America and that the land of the free and home of the brave continues to be a beacon of democracy, diversity and decency, and doesn't continue down the dark path of being a fascist, racist, misogynistic, homophobic, isolationist bully at home and on the world stage. 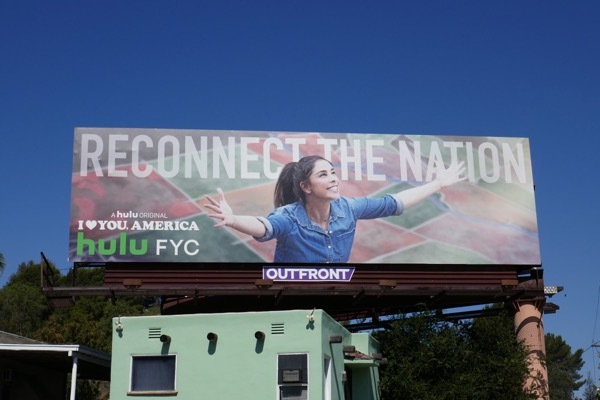 UPDATED: Can Sarah Silverman earn herself an Emmy nomination for her attempts to 'Reconnect the nation' with this Hulu show? Maybe this Emmy FYC billboard snapped along Cahuenga Boulevard on June 24, 2018 will help. And here's the Emmy consideration billboard better illuminated. 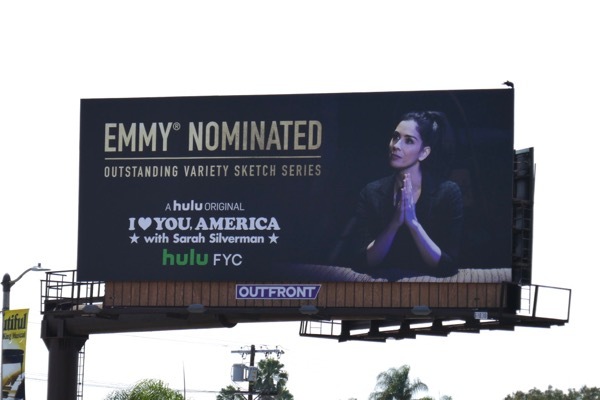 UPDATED: Congratulations to the series for garnering an Emmy nomination for Outstanding Variety Sketch Series, let's see if this Emmy nominee billboard spotted above La Brea Avenue on August 7, 2018, helps secure TV Academy votes.